#30 What If We Start With Good Enough Now? 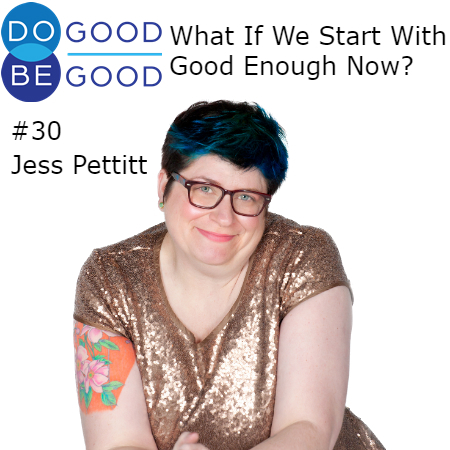 Jessica Pettitt has worked as a weight lifting judge, Peace Corps volunteer, diversity trainer, bartender, and more. In this episode she shares what she learned during that varied work history and her work now, on Good Enough Now. Jessica encourages us to do the best we can with what we have some of the time instead of striving for perfection or just opting out under pressure.